The weekend before Thanksgiving Scott and I went to Austin, TX, to visit my friend, Sara, for the baptism of her baby girl, Ellen. I was beyond excited to see Sara! 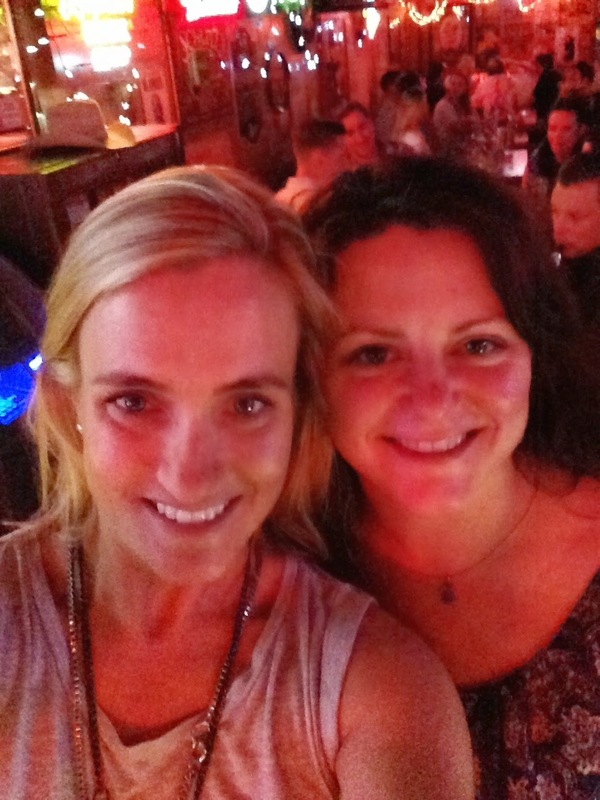 She is one of those friends who I always pick up with right where we left off. It doesn't matter how long it has been or where we are or what we are doing, we always have so much fun together. 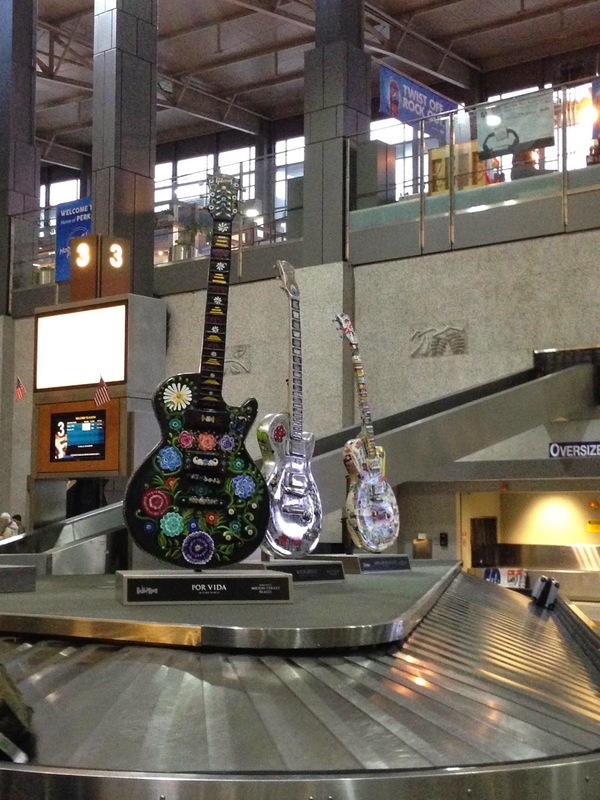 Plus, I was trilled at the chance to go to Austin. We landed on a rainy Friday evening, and to avoid sitting in traffic, headed straight for a drink. 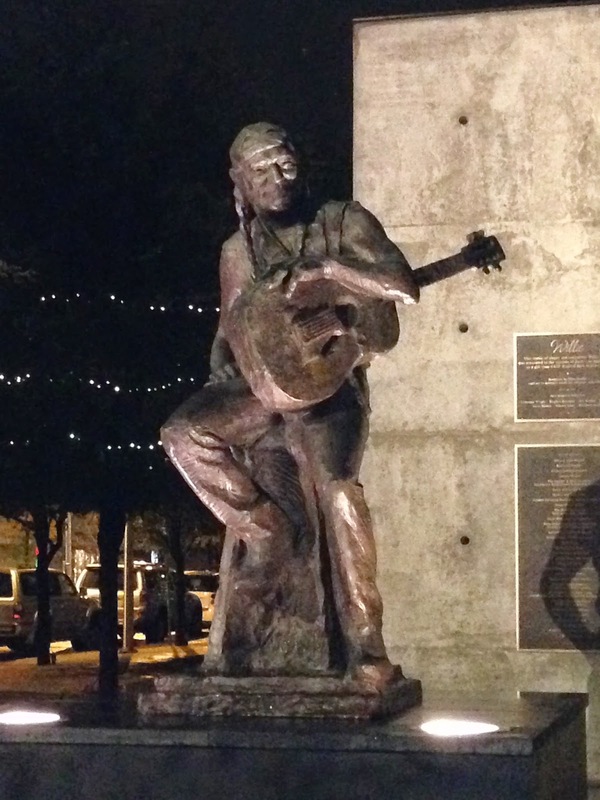 Austin is know for its watering holes of both the drinking and the swimming variety, and although I was familiar with Deep Eddy Vodka, I didn't realize that Deep Eddy is actually a historic pool with bathhouses built during the Depression. 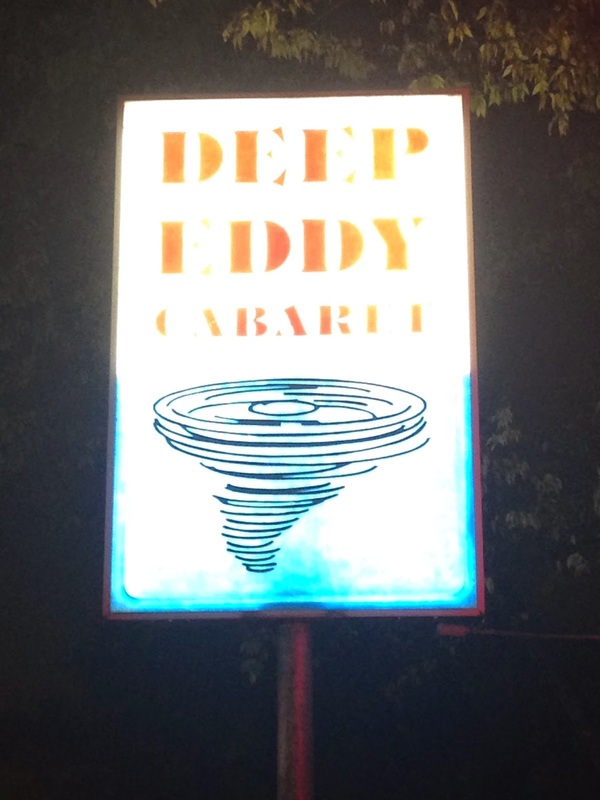 Needless to say, a rainy Friday night was no time for a swim, but we had a good time at Deep Eddy Cabaret playing songs on the jukebox. 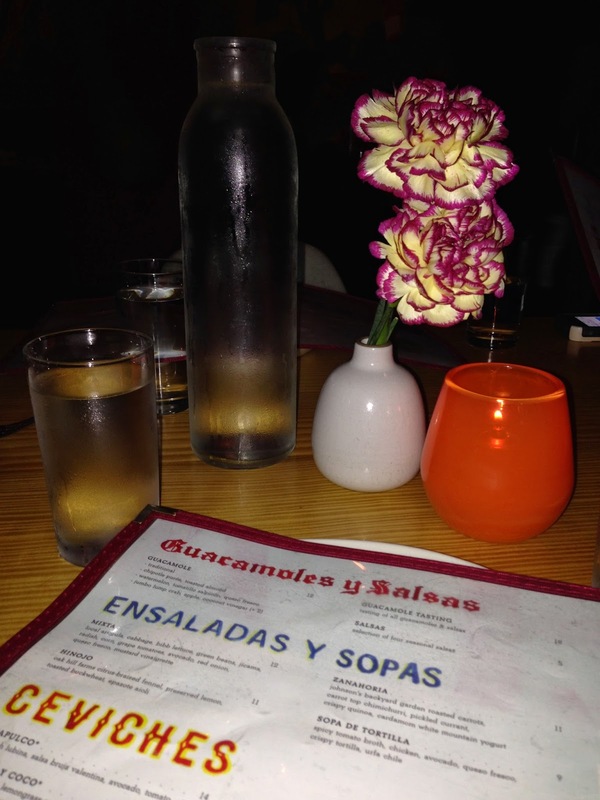 By the time our dinner reservation rolled around, the traffic had cleared and we made our way downtown to La Condesa. I have a bit of an obsession with Mexican food, and there is no better place (outside of Mexico) to find it than Texas. 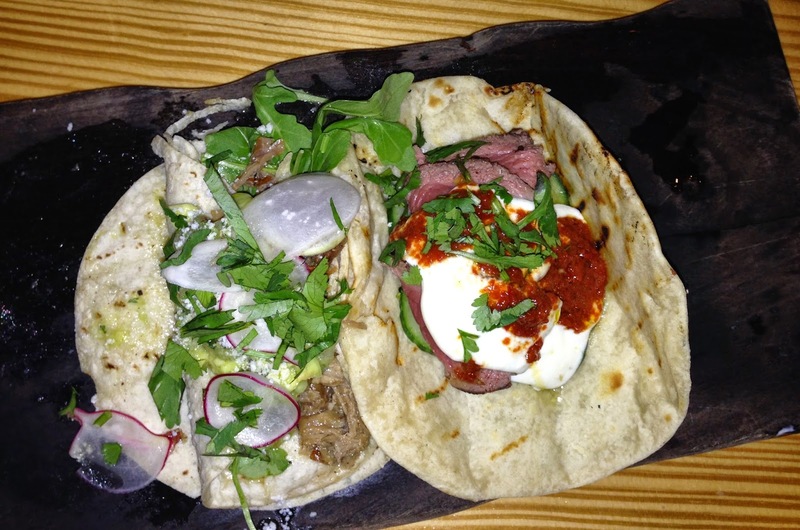 I was pretty much in heaven at La Condesa. The margarita was exciting and refreshing. The guacamole was perfect. 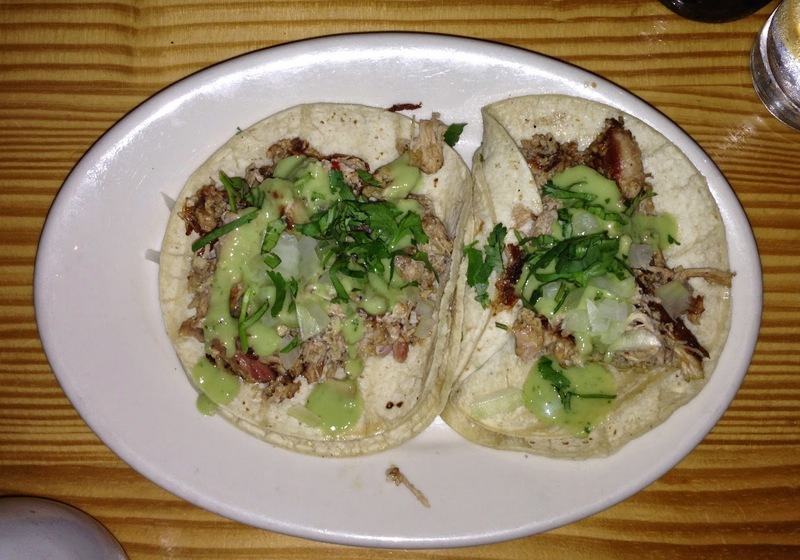 The tacos were interesting, and the Brussels spouts, oh the Brussels sprouts! Let's just say we ate them so quickly that I didn't even get a picture. They were roasted with bacon and grapes. A most unusual combo that was perfection! Saturday brought more rain (and they say it never rains in Texas). So much rain, in fact, that we didn't do much more than watch football. 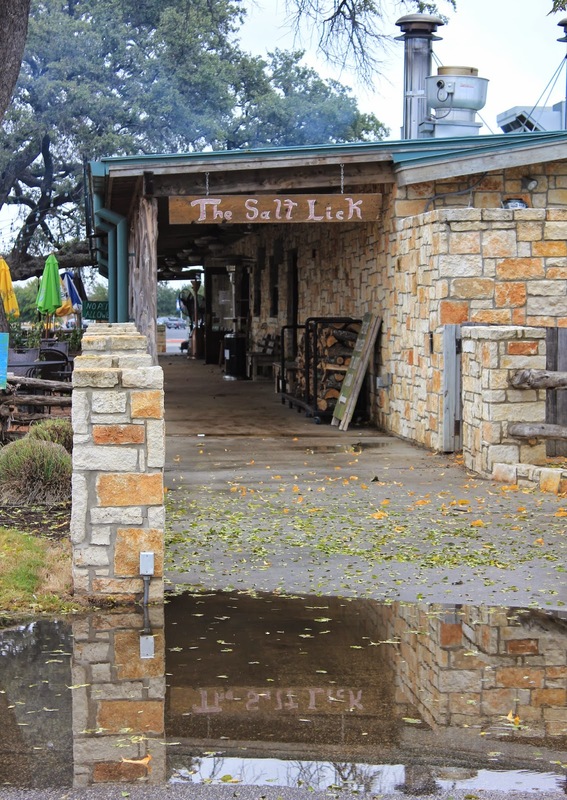 We did venture out for lunch at The Salt Lick where we had more than our fill of Texas barbecue. It was amazing that we were hungry for dinner that evening, but I hate to miss a meal, so we went out for more Mexican. This time we went to a place called Lupe Tortilla. It sort of had the feel of a chain restaurant, but the steak fajitas and the tortillas, for which they are known, did not disappoint. I'm a sucker for a good tortilla, and these were so thin and delicious that I could have just eaten them for dinner. By Sunday morning, it was time for the Baptism and brunch to celebrate Ellen. She was beautiful in her long gown and didn't cry at all! Such a good baby. 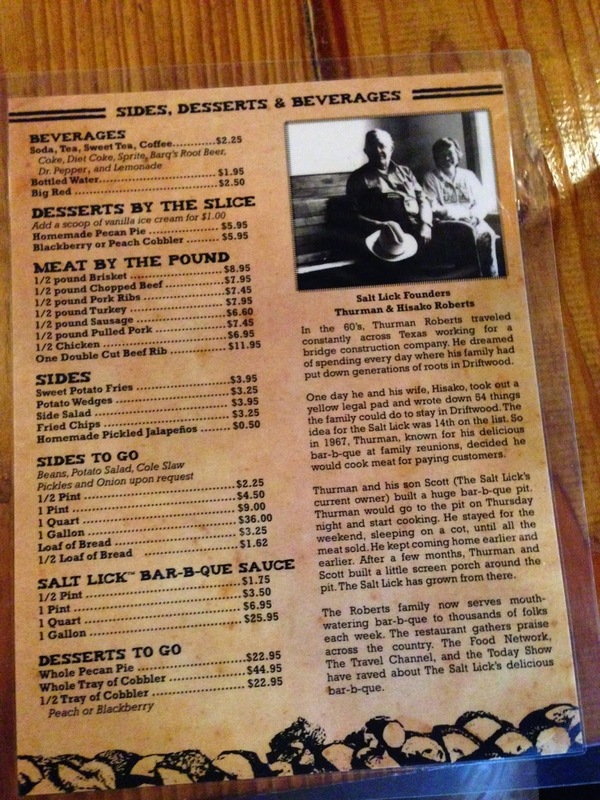 As we drove to the airport, I thought about how Sara always teases that the Lyle Lovett song, "That's Right (You're Not From Texas)" was written for me because even though I am not from the Lone Star State "Texas wants [me] anyway." I guess that means I'll be back! 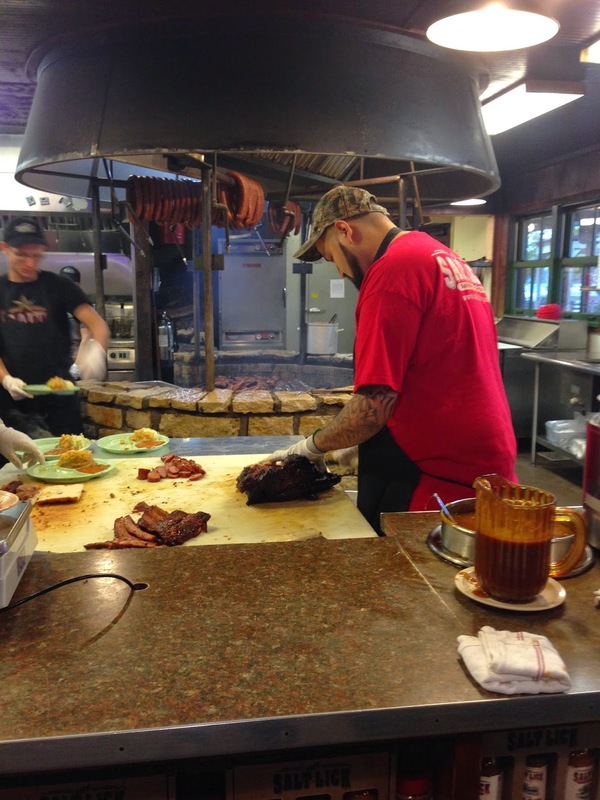 Meat by the pound, baby! You should go! It is such a fun city. I can recommend plenty of places to eat and shop. Have a great weekend! Great barbecue! I think the sausages were my favorite! Have a great weekend!